Here you can upload photos or drawings of your project. 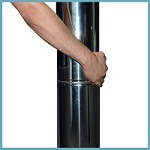 Helps to retain sparks and embers and protects the chimney opening from weather, debris, and animals. 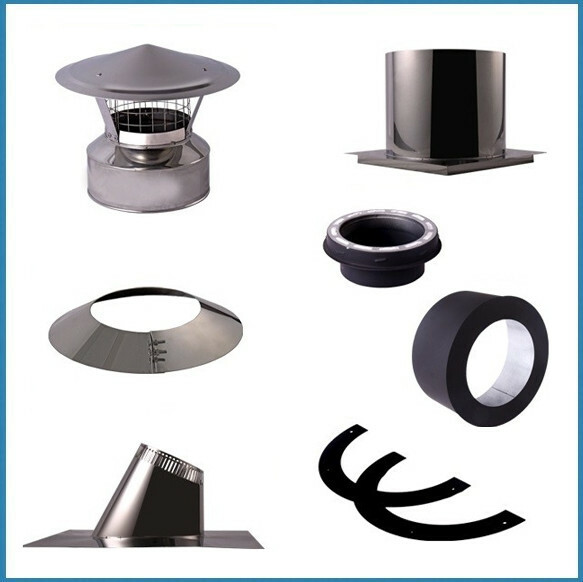 The Storm collar works together with the Flashing to provide a weatherproof seal where the chimney passes through the roof. 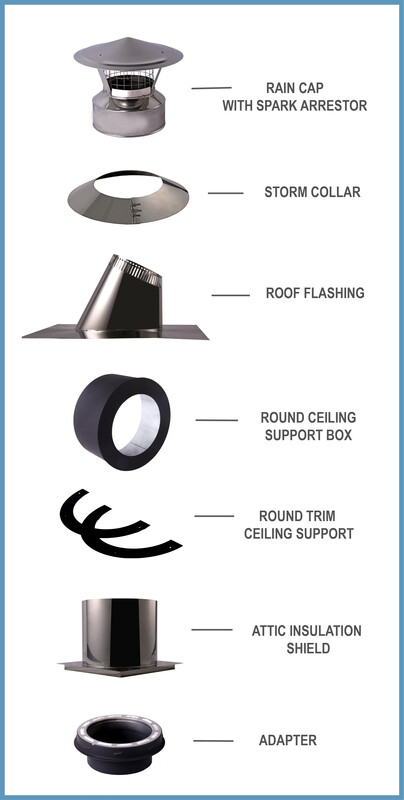 The storm collar is installed directly above the flashing and must be sealed to the chimney using a high-temperature silicone sealant. 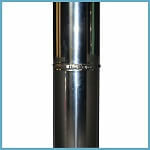 The Roof flashing is used to weatherproof the chimney opening. 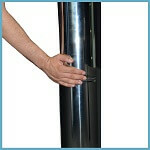 The Insulation shield prevents building insulation and other debris from contacting the Chimney. The round ceilling support box kit supports the chimney installation and provides a transition from the stove pipe to the chimney. Conceals the gap between the ceiling support box and the ceiling opening. 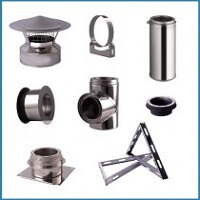 Used to connect double wall pipe with single wall element for a secure connection for through-wall installations. What is the Twist-Lock system & how does it work? 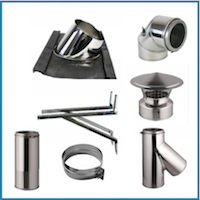 TThe Twist-Lock system is the result of a product development goal to make chimney components sturdier while, at the same time, easier to assemble. The "Jam Jar Lock" allows individual components to be assembled together with little effort—just like close the lid on a jar. Connect the appropriate pipe ends together. Can I install the chimney myself? Yes, you can. 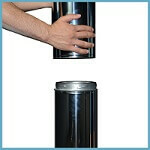 Our chimneys' assembly is fast and easy. See instructions. 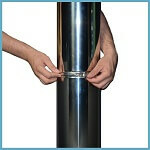 Yes, and we give 25 years warranty on each stainless steel element. How long is the delievery time & how much does it cost? Delievery time is 3-7 days with free shipping over $50. Why does the insulation only have 1"? All our double wall elements are insulated with ceramic fiber, which has higher density than other popular materials. Can I exchange or return ordered elements? You have 14 days to return or exchange your order. Can I order additional elements if I forget anything? You didn't find an answer to your question? Contact us here.